The shoes that I am wearing on the lanes are Dynothane Tour Ultras. I got them about 5 years ago although they look about 6 months old. Since then Dynathane line of shoes are known under the 3G label and are available through 900 Global. 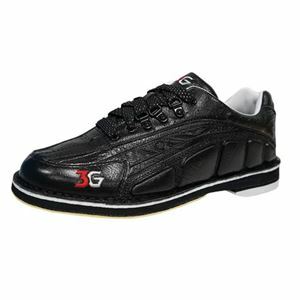 They are the lightest pair of bowling shoes I have ever owned and they as comfortable as any pair of shoes available today. Also, they have interchangeable heel and soles. If you are in the market for a new pair of shoes, you should check these out.